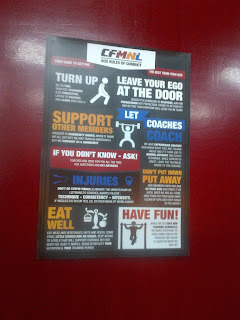 On March to April 2013, CrossFit MNL Makati CBD had organized free WODs (Workout of the Day) in Legazpi Park. They modified the WODs so the numerous participants won't have to use any equipment. The crowd was 20-40 people which made it a big pain to actually use kettle bells, dumbbells and other gym equipment so they modified everything so we'll be able to use our body weight for exercises. I attended at least 3 sessions before they held their last session. The workout started with a 15 minute warm up composed of a run and a mixture of body weight exercises and dynamic stretching Then, the coaches instructed us about the WOD and we do all the rounds we could do for 10-15 minutes. At the end of the session, we do a little cool down and they gave us GCs to a nearby restaurant. As a treat for those who supported the Free WODs in Legazpi Park, CrossFit MNL Makati CBD branch had decided to give trial WODs for free on its opening week. I grabbed the opportunity to satisfy my curiosity on this fitness community. 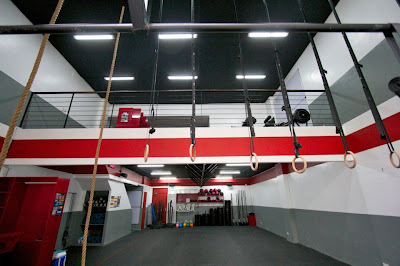 Usually, trials in CrossFit gyms or Boxes (as CrossFitters would call it) charges a fee of P500 or more for trial workouts. This is a deal for those who would like to give it a try as Drop In rates are usually P750. We started the class with briefing from the instructing coach. As a practice, he didn't need to give out this briefing but since it is their opening week, he made an exception. 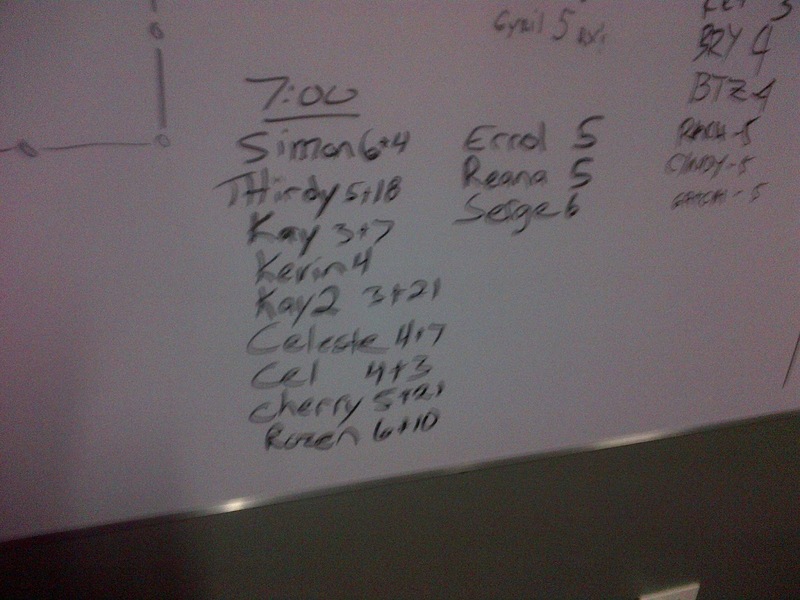 Participants of a WOD should come in the class at least 15 minutes before the class. They should warm themselves up with a foam roller or using the cardio equipment in the waiting area. We started the warm up together for this session. We ran and did a number of body weight exercises and stretches to warm us up and familiarize ourselves with the moves of the WOD. WOD differs everyday. It works different muscles. A regular WOD class is not for beginners. In fact, you are required to attend a number of foundation classes so you'll be familiar with the moves and routines that will be accomplished in the WOD sessions. 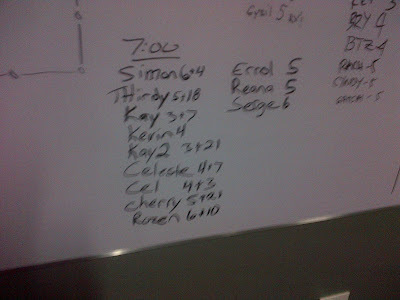 I did my best to complete an acceptable number of rounds and I got 5 rounds and I almost completed my 6th round with 4 box jumps. My heart was pumping hard and I wanted to rest in the process but I fought off the instinct and kept going. With Cross fit, you define how hard you work and you are in competition with yourself and others. That is your motivation! We finished the session with a series of stretches and I headed to my home gym to do yoga. The Makati branch of Cross Fit Manila is your typical box. 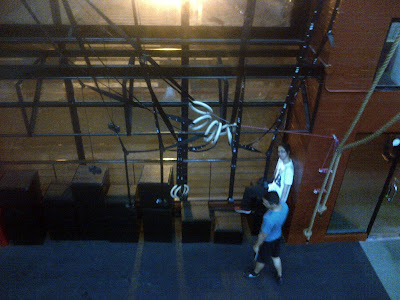 An almost empty gym with equipment you'll need in WODs. They have kettle bells, medicine balls, box, suspension rings and a lot more equipment for the typical workout that involves plyo metrics, gymnastics, strength and conditioning. The coach are helpful too. The competitive atmosphere is a really great motivation. They handle small classes so the coaches will be able to assist you in their full capabilities. The rules sets boundaries for the community. The con of this gym and this discipline is that it costs a lot. A drop in session costs around P750. A monthly rate can cost from P3,500 to 6,000. If you have the budget, try this out for a month and see results with constant demand for cardio and strengthening movements that should be done in a short time consistently, you'll definitely get the body you wanted. For more details, check out this site. In picking which gym to join in, you have take into consideration what is your budget, what's your fitness level, what routines would you like to do. 360 Fitness Club specializes in holistic programs like the 30 minute circuit, dance and circuit classes. They offer personal training for your specific goals. Crossfit gyms only offers crossfit which is a training program that fits everyone but gives you option to work out in a level you are comfortable with.